When using Rentman, Country and Language settings are for a large part automatically set correctly. There are a couple of things you can change manually. This article will show you how to make sure all projects and communications (quotations, invoices, packing slips and more) to your customers are in your language (if other than English). We will show you how to set your time-zone correctly in case your country has multiple time zones and how to set your VAT codes according to the VAT rates and rules in your country. Admin panel > Templates: Default templates in your language will probably already be available. In this article you'll find if we have all templates in your language available and how you can add them to your system. If the templates are not yet available in your language, email us at support@rentman.eu and with your help we can add them in a couple of days. Admin panel > Project types: Default equipment groups, default times and default tasks are entered automatically to your project based on the selected project type. This information might come back on the documents you sent to customers. By opening the project types in this tab the information can be changed. Admin panel > Invoice moments: invoice moments show on the quotation when the invoice is sent. The text on the quotation can be translated in this tab. Admin panel > Payment conditions: The payment conditions show on the invoice how many days the client has to pay the invoice. The text on the invoice can be translated in this tab. Admin panel > Conditions: The additional conditions are by default shown on the quotation (the general terms and conditions are entered as a PDF in the configuration tab). The additional conditions can be translated and added in this tab. The VAT/TAX codes for your company can be changed in this tab. There is a default VAT code that is connected to everything in the system like equipment items and projects. To set the correct VAT code for your country you can change this default VAT code into the VAT rate used in your country. If you need separate VAT options for calculating crew and transport these can be found when setting the crew and transport functions in a project. You can save these rates by setting the crew and transport functions as default with the correct rate. If you need to change the name of the VAT code on your documents this can easily be translated with a language setting. Change the language of a template to have the right translation in your documents. 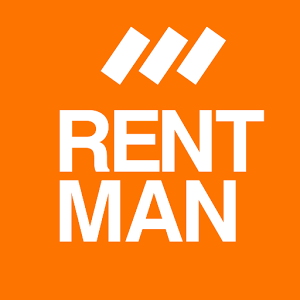 Let us know if your language is unavailable or incorrect for you at support@rentman.eu and we are happy to help. Rentman automatically sets your timezone depending on your county. If your country has multiple time zones it is possible you have to manually change it to the correct timezone. Follow this path to choose your timezone: Admin panel > Configuration > Timezone.